Vacation Getaways 4 Less offers incredible savings on discounted resort vacation destinations throughout the United States and the Caribbean. Having been a leader in the discounted vacation industry for the past 31 years, our certified reservation specialists have helped more than 600,000 families go on fabulous discounted vacations. We take great pride in our customer service. Our professional staff at Vacation Getaways 4 Less is available 7 days a week to personally answer all your vacation questions and accurately guide you through the reservation process. Our primary focus is partnering with Timeshare Developers that want to promote their world-class vacation resorts. These resorts are located in the most popular vacation destinations. 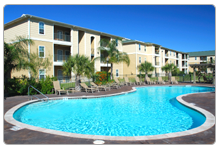 In many of our Resort Vacation Destinations you will be able to stay in one of the Resort Condos. In most cases, you will save at least 70% off the retail value of a similar type of vacation. We believe that in a thriving economy or even in tough economic times, it is important to take your family on a well needed vacation. even if it is only an extended weekend. With our diverse selection of vacation destinations, we are certain to have a destination that fits your family’s needs. Choose from one of our sandy beach vacations up and down the East coast, or head to the Pocono Mountains in Pa. for a relaxing getaway. We also have Amazing Theme Park Destinations in Williamsburg Va. Or Disney World / Orlando Fl. Go tropical in South Beach, The Caribbean or Mexico, Whatever your vacation appetite, we have a destination for you! We have beaches, theme parks, indoor / outdoor water parks, casinos, spas; world class shopping outlets, golf, horseback riding, hiking, biking, fishing, theatre, fine dining and the list goes on. If you are looking for incredible savings on accommodations, airline tickets, car rentals, cruises, etc., Vacation Getaways 4 Less can fill all of your vacation needs. We are constantly adding new Vacation Destinations. Be sure to “Like Us” on Facebook, follow us on Twitter, check our videos on You Tube, and add us to your “Favorites / Bookmark”. Vacation Getaways 4 Less is fabulous!! My family and I were looking for an affordable vacation to Myrtle Beach and came upon this website. We stayed at a great resort in Myrtle Beach, which was oceanfront and had tons of amenities for the kids….we all had a blast! We will be using this company again in the future for our family vacations!